Clean lines give the Eastland collection a classic look. Available in black, white, silver and dark gray, this collection can match just about any decor and style. 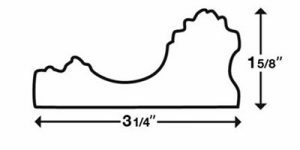 Less than 1″ thick makes it perfect to fit behind sink hardware and medicine cabinets. The Le Flore is one of the most dramatic styles offered by Frame My Mirror. 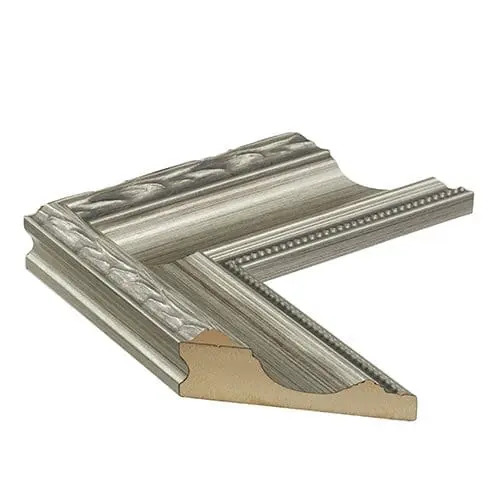 Measuring an eye-catching 3 ½” wide and 1 ½” tall, the Le Flore offers intricate molding coupled with a sharply sloped outer edge complemented by the American Pewter finish. 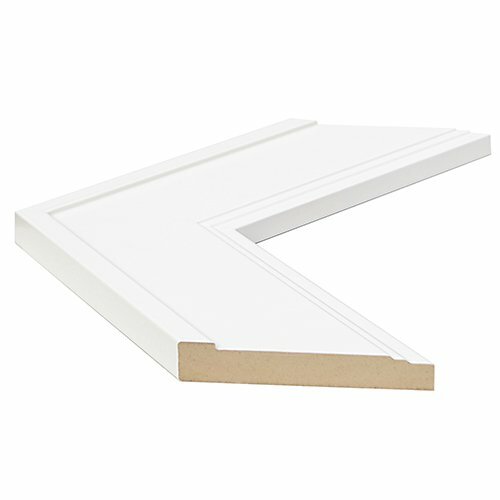 If you want a bathroom mirror frame that demands attention, then the Le Flore is your choice. 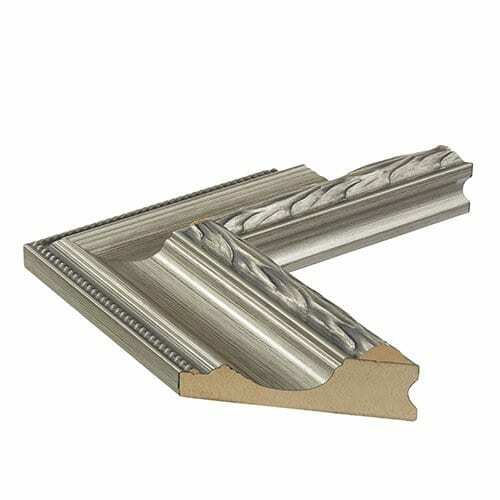 The Le Flore Reverse is one of the most dramatic styles offered by Frame My Mirror. 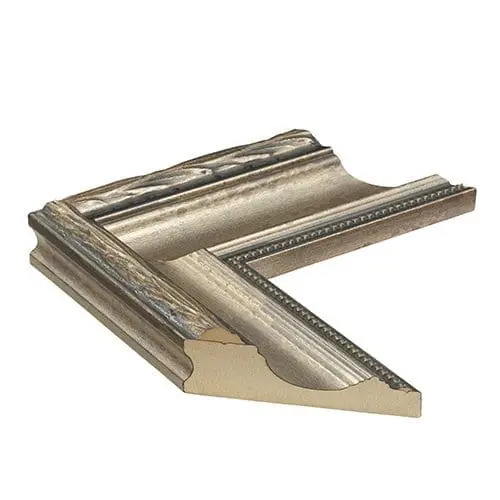 Measuring an eye-catching 3 ½” wide and 1 ½” tall, the Le Flore Reverse offers a sharply sloped inner edge and intricate molding complemented by the American Pewter finish. If you want a bathroom mirror frame that demands attention, then the Le Flore Reverse is your choice. The Le Flore is one of the most dramatic styles offered by Frame My Mirror. 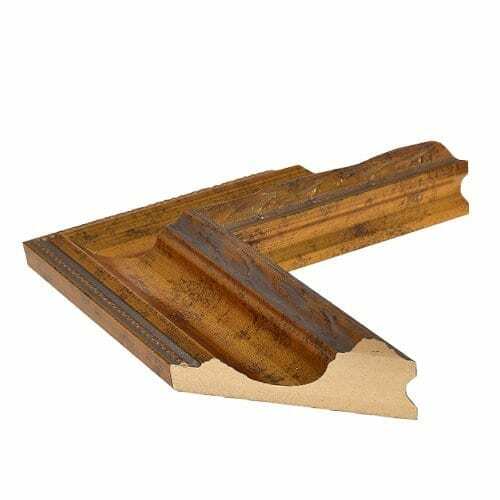 Measuring an eye-catching 3 ½” wide and 1 ½” tall, the Le Flore offers intricate molding coupled with a sharply sloped outer edge complemented by the Rusty Bronze finish. If you want a bathroom mirror frame that demands attention, then the Le Flore is your choice. The Le Flore is one of the most dramatic styles offered by Frame My Mirror. 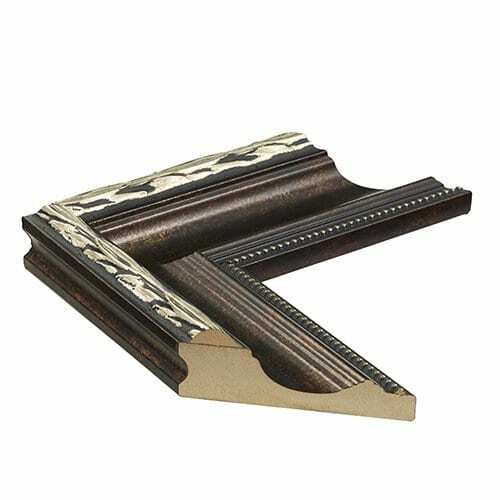 Measuring an eye-catching 3 ½” wide and 1 ½” tall, the Le Flore offers intricate molding coupled with a sharply sloped outer edge complemented by the Bronze finish. If you want a bathroom mirror frame that demands attention, then the Le Flore is your choice. The Le Flore Reverse is one of the most dramatic styles offered by Frame My Mirror. 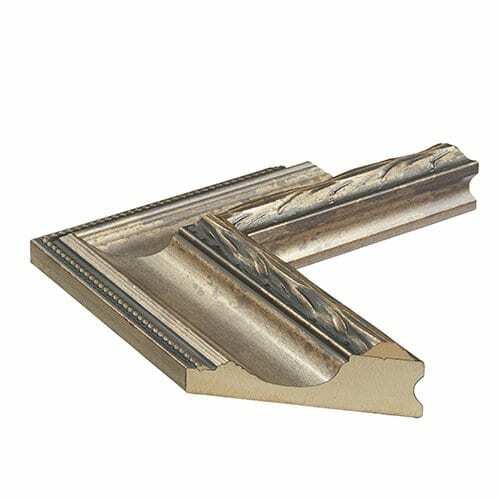 Measuring an eye-catching 3 ½” wide and 1 ½” tall, the Le Flore Reverse offers a sharply sloped inner edge and intricate molding complemented by the Bronze finish. If you want a bathroom mirror frame that demands attention, then the Le Flore Reverse is your choice. The Le Flore is one of the most dramatic styles offered by Frame My Mirror. 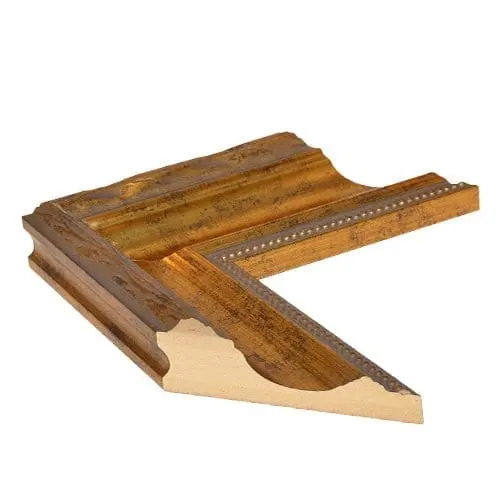 Measuring an eye-catching 3 ½” wide and 1 ½” tall, the Le Flore offers intricate molding coupled with a sharply sloped outer edge complemented by the stunningly classic Gold finish. 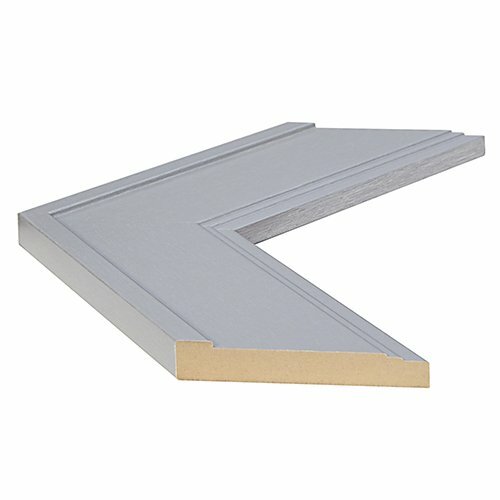 If you want a bathroom mirror frame that demands attention, then the Le Flore is your choice. The Le Flore Reverse is one of the most dramatic styles offered by Frame My Mirror. 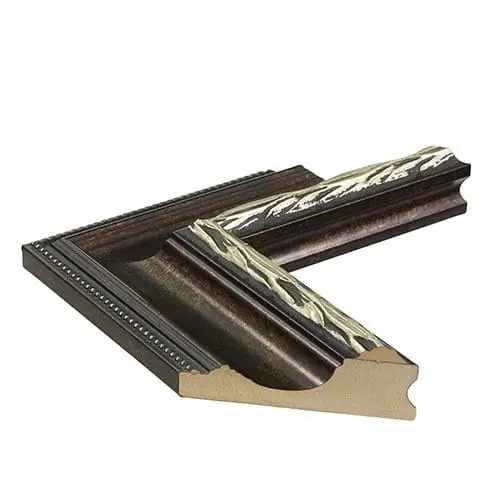 Measuring an eye-catching 3 ½” wide and 1 ½” tall, the Le Flore Reverse offers a sharply sloped inner edge and intricate molding complemented by the Rusty Bronze finish. If you want a bathroom mirror frame that demands attention, then the Le Flore Reverse is your choice. The Le Flore is one of the most dramatic styles offered by Frame My Mirror. Measuring an eye-catching 3 ½” wide and 1 ½” tall, the Le Flore offers intricate molding coupled with a sharply sloped inner edge complemented by the stunningly classic Gold finish. If you want a bathroom mirror frame that demands attention, then the Le Flore is your choice. 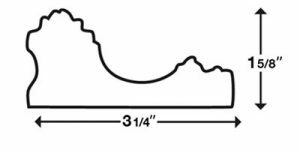 1 1/4" - 2 1/2"
3 1/8" - 4 1/2"